This is the largest stadium in the Corpus Christi Area. 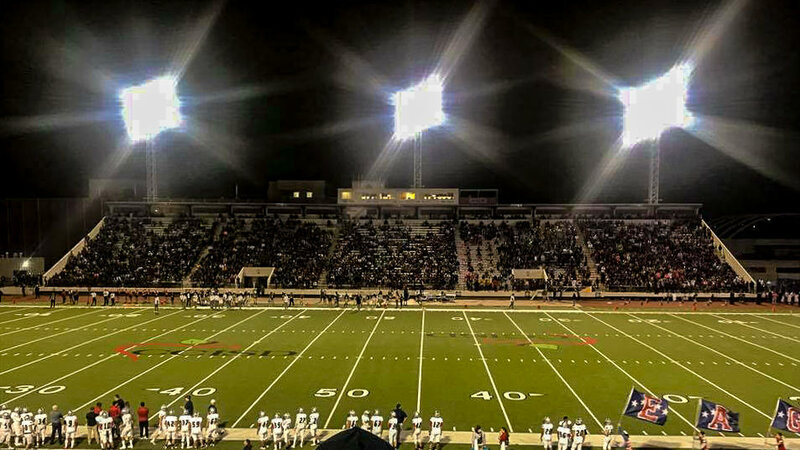 It was the site of a 1997 playoff game between Calallen and La Marque that drew 23,000 people. For this game, they had to install temporary seats and had the bands sit on the track. Home of 1960-1961 Roy Miller High School Texas State 4A Champions.